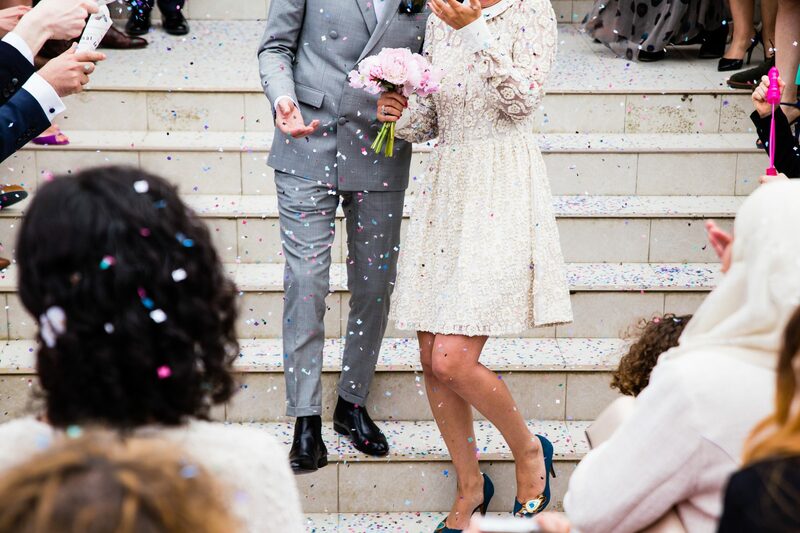 Your wedding is one of the most important days of your life, so you want it to be one that not only you remember fondly but that your guests do too. To make this day all the more special you may want to consider some unusual entertainment – which has grown in popularity over the last few years as people start to ditch many traditions in preference of modern twists. Sound good? Of course it does – so here are a few ideas – some will need to be considered within the budget while others won’t cost you a penny! Either way, one thing you can be sure of is that they will be a lot of fun and have you and your guests laughing well into the night. Quirky photo booths are a great addition to your wedding – it is fun to play around with the props and as the evening goes on, the more everyone drinks, the better the photos will get. These will be a great memento of the night and a little different to the images captured by the photographer you hired. There are a range of different booths to choose from so pick the one that best reflects your style and personality. You are writing your guest list; your parents, siblings, grandparents, aunts, uncles, cousins, best friends… VIP guest. But, who will this VIP be? Probably someone you have never met but they will be the most entertaining one. Public speakers are a great addition to your guest list – how about a comedian such as John Bishop? Or a personal appearance from your husband-to-be’s favourite sports star or your wife-to-be’s style icon? It will be an incredible surprise for your other half as well as the guests – definitely making it a wedding to remember. A surprise first dance is fun for you and your partner to plan and a great surprise for the guests. Just a moment after shedding a tear while you slow dance to Ed Sheeran’s Thinking Out Loud, they’re crying with laughter when you start shaking your booty to Baby Got Back. Just make sure someone is ready with a camera to capture the moment and you can show it to the rest of the world via You Tube. This is one of the easier and simpler ways to entertain your guests. When you send out your invitations simply include a section where they can note down their favourite party song. Your playlist is compiled for you and you can guarantee that, musically, there will be something for everyone. This is a great way to bring excitement and an element of surprise to the occasion. These dancers/singers will spontaneously appear, perform and leave as quickly as they came. Perhaps this could be the ‘waiters’ – one minute they’re topping up glasses of champagne, the next they’re breaking out into song and dance!